Carnival time is underway across Somerset and Exmoor. The highlight of the year for many, the Somerset Carnivals are recognised as being the largest illuminated processions in Europe. 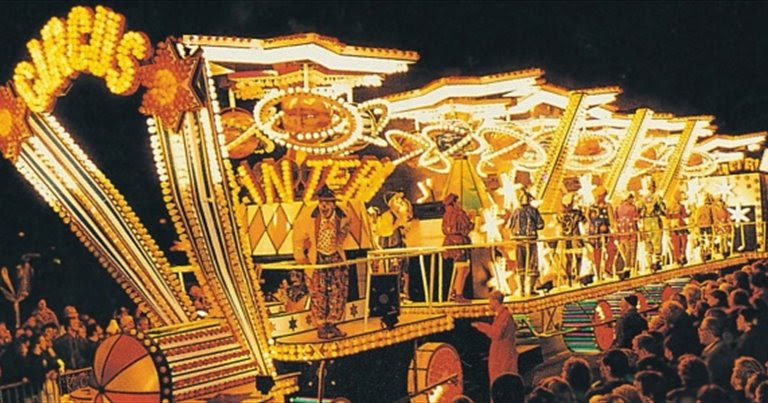 The carnivals take place every November where they visit the local towns of Bridgwater, Burnham-on-Sea, Glastonbury, North Petherton, Shepton Mallet, Wells, and Weston-Super-Mare. Dating back to prehistoric times, when they celebrated the harvest and wished for a clement winter, they were kept up through medieval times but considered too bawdy and unruly for the Victorians who banned them. Nowadays they are an opportunity for the family to celebrate together and all about the spectacle, ingenuity and design skills of the carnival clubs that take part. The carnival carts are designed and built by carnival clubs around the West Country. Each club taking part in the carnival parade, putting on a show to the public, and competing with each other to impress the judges. The illuminated carts can be up to 100ft in length, 16ft high, and 11ft wide, and some have 20-30,000 light bulbs. Bridgwater Guy Fawkes Carnival regularly attracts crowds of 150,000 and is one of Europe’s largest illuminated winter carnival processions. This carnival is followed by the old tradition of ‘squibbing’, which is unique to Bridgwater. Burnham On Sea & Highbridge Guy Fawkes Carnival has over a hundred giant Carnival carts taking part, each pulsating with music and aglow with thousands of coloured lights and, fantastically coloured costumes. It is always an amazing sight to see. All events are free, but donations are collected from the public for local charities.